Wild camping has different meanings to different people. 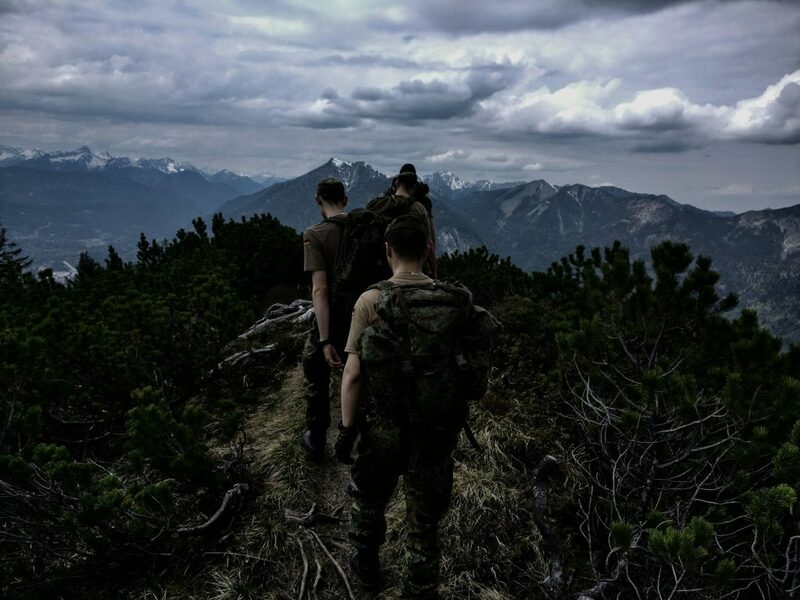 For some it means heading off into the woods to set up a tent among the trees, in some quiet and secluded place. 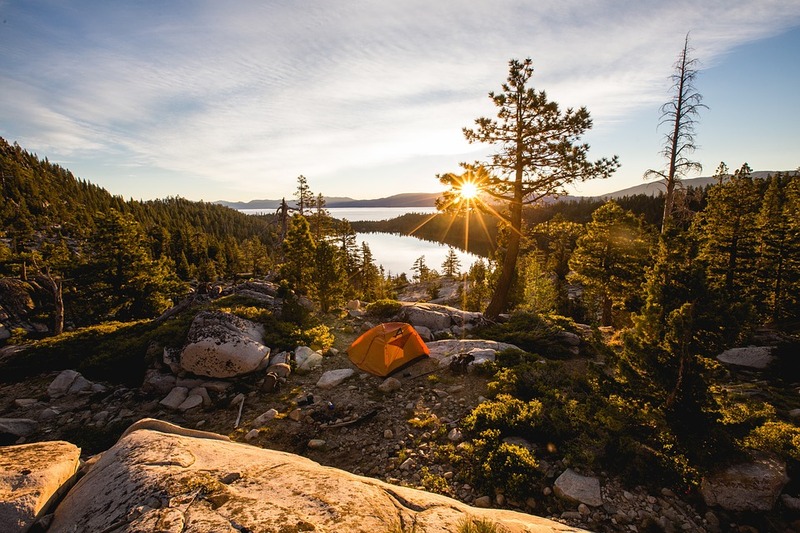 For others, when they think about wild camping, images of public campgrounds with bathrooms and showers come to mind. 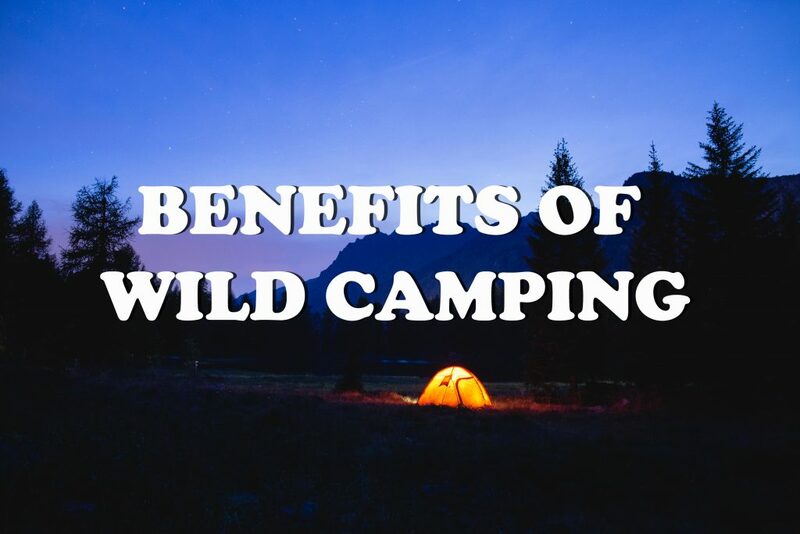 No matter what your idea of wild camping is, not only can it be a lot of fun, it also has some other great benefits you probably didn’t know about. 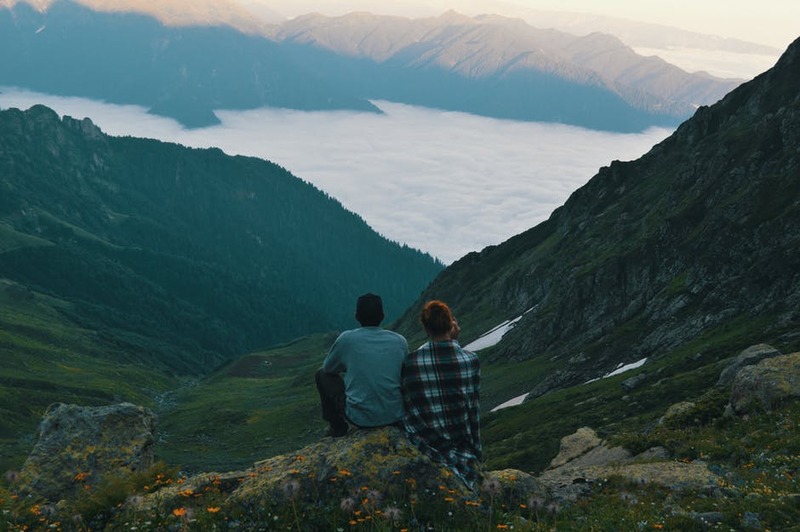 Wild camping can help relationships, improve your health, introduce you to new hobbies and offer you some much needed rest and relaxation. Yes, we’re serious. It can also offer you a lot more than that. If you ask people who camp regularly why they enjoy wild camping, they may give you various answers, or they may just not have a specific reason that they enjoy it. But, the most common responses will be that it makes them feel good and it is fun. 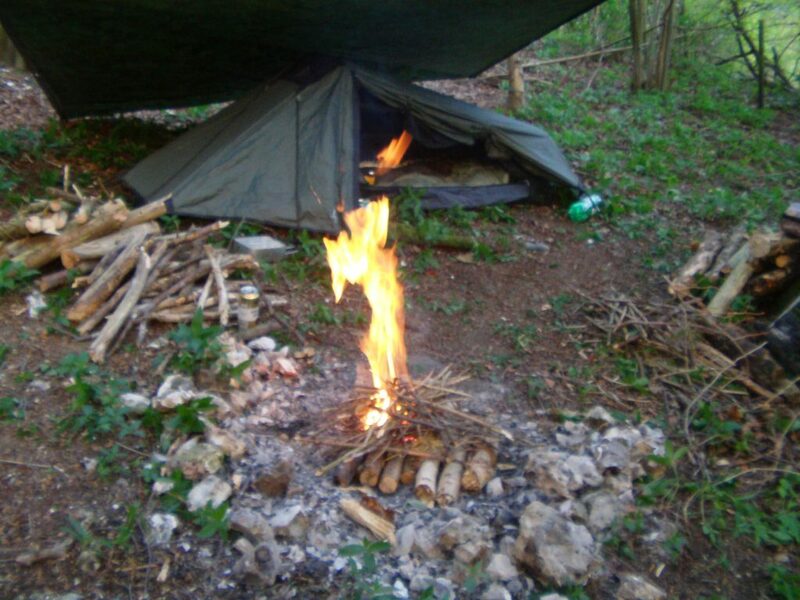 Below we’re going to discuss some of the benefits of wild camping and why they are so beneficial. Social media is a big part of our daily lives, Facebook, Instagram, Twitter, you name it, millions of people use it every day. Mindlessly scrolling through feeds, catching up on the daily drama. For a lot of us this is the main way we interact with others on a daily basis, it’s quick and easy. That’s what makes it so appealing, but studies have shown that it is doing us more harm than good. Facebook in particular has been linked to a decline in overall happiness. Wild camping cuts us off from social media and forces us to put our focus on the real world. Without our phones, laptops and tablets we have to entertain ourselves with what’s around us. That may sound horrible to someone who spends most of their day staring at a screen and messaging away. But we promise, it’s a great boost to your mental health, even if you take a lot of pictures to post online later. Without television, video games and the internet to distract us, what’s left to do? Today’s world is a little counterproductive when it comes to socializing. Often times we are so caught up in work, school and electronics that we don’t spend much time actually talking to each other. We can personally relate to this and we’re sure you can to. When’s the last time you had an indepth conversation that wasn’t via text, or over the phone? Unplugging and actually spending time with your family, or significant other can help improve your relationships and help you learn more about each other. Socializing and conversing in a face to face manner boosts our happiness and improves our confidence. self esteem will thank you for stepping away from technology temporarily. Ever notice how you take a deep breath of fresh air, without even think about it? This is because our body knows that it’s good for us. Not only does air away from cities have less pollutants in it, it also has more oxygen. The more trees, or foliage dense an area is, the more oxygen dense the air will be. This oxygen boost allows more oxygen to be delivered to your body with each breath you take, which means more oxygen to your brain and more serotonin (one of the feel good chemicals) to be released. A few days in the fresh air can also help detoxify your body, which is good for your immune system. To maximize the benefits of being in the fresh, air spend a few minutes each morning to do some breathing exercises. Not ony will it clear your mind and help you focus better, you’ll feel better too. Our biggest natural source of vitamin D is the sun. This is thanks to the sun’s ultra violet B rays (UVB) and it is important because our body can’t make it’s own vitamin D without the sun. We can get this important vitamin from supplements and some foods, but we can’t actually make it without sunlight. Vitamin D has a lot of benefits including benefits to our bones, immune system and cardiovascular health. If you want a healthy dose of sunlight and vitamin D enjoy the early morning sunlight without sunblock. Sunblock not only protects you from the harmful rays of the sun, it also inhibits your absorption of the rays that trigger your body to produce vitamin D.
You should limit uprotected exposure to an hour max, depending on your skin tone and sun sensitivity, as the sun can have negative effects too. The sun’s rays are milder in the morning hours and you are less likely to suffer from sunburn. As a side note, you should never go without sunblock in the afternoon, as the suns rays are at their strongest and this is when skin damage occurs. This isn’t because there’s some magical weightloss voodoo at work. You’ll be burning more calories because you’ll be more active. Wild camping is all about getting out and doing things. Swimming, hiking, bird watching and just exploring all burn more calories than sitting at a desk, driving or lounging back watching tv. This activity boost is good news for your mental health, physical health and your waistline. The best part is, you won’t even feel like you’re exercising, because you’ll be having fun. You’ll also be taking in less calories because you won’t have the fridge, vending machine, or candy selection at the gas station to encourage you to snack on junk food. A break from stress is something we all could use, daily life is stressful. From deadlines at work, to homework, bills and errands, life throws a lot at us. 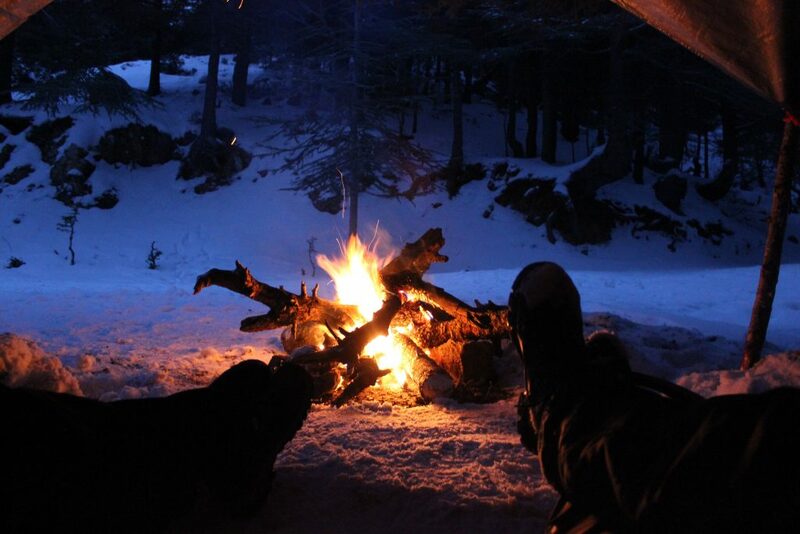 Wild camping gives you some time to forget about all of those things and just relax. There’s no deadlines and nothing that has to be done, except maybe tracking down some firewood. 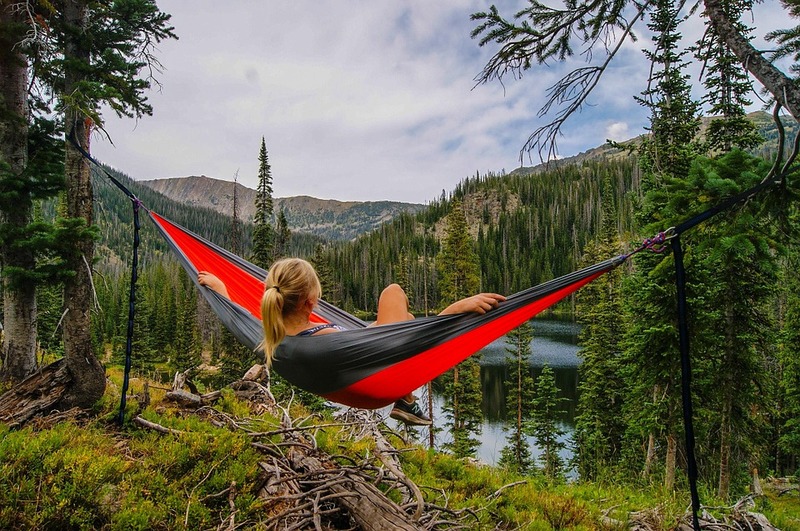 You can do what you like when you like and if that means just reclining in a fold out chair, or lounging on a blanket enjoying the scenery all day, so be it. A weekend with no alarm clocks, no phone calls, no emails and no responsibilities sounds like a good time to us. This reduced stress is also good for your blood pressure, your heart and your mental health. Everyone deserves a little rest and relaxation. We could all probably learn a little from him. 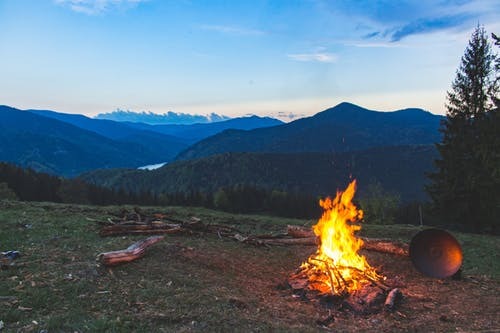 After a long day of enjoying nature and winding down by a campfire before bed, you’ll likely be sound asleep by 10 p.m. You’ll also have no need to be up first thing in the morning, which means you’re free to rest until you are rested. This can be a great way to reset your sleep cycle and catch up on needed sleep. Studies have also shown that sleeping away from unatural light sources helps to reset our internal clocks, restoring our bodies natural sense of day and night. This benefits us by helping us to feel less groggy and more awake when we wake up. To benefit the most from this ensure you have a comfortable sleeping bag and ample padding under it. You won’t get much sleep if you’re tossing and turning all night. As an added bonus, season, location and weather permitting you can even spend the night outside of your tent and sleep under the stars. The lack of neon signs and street lamps is sure to give you a stellar view of the night sky. 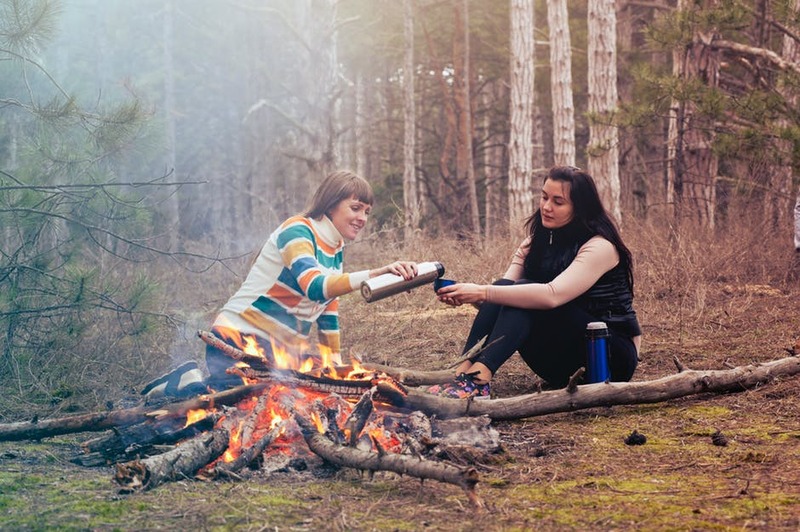 Have you ever tried whittling, starting a fire without matches, animal tracking, or snorkeling? If not, a camping trip could be the perfect time to try them out. Whittling can be a great way to pass the time if the weather gets bad. Animal tracking can make going on a hike a little more interesting and snorkeling can give you a whole new perspective on the lake you’re swimming in. Starting a fire without matches is surely a challenge, and a pretty impressive skill, if you can master it. We can’t do it, can you? Okay, maybe you shouldn’t howl, unless that’s your thing, but you can be loud. And guess what? As long as you’re not in a crowded campground, no one is going to care. Nature doesn’t have a noise ordinance. You may spook a few animals, but they won’t come knocking on your door about it. If you need to just be loud and proud for a little while, or scream as loud as you can and just let out some bottled up frustration, go for it. How many weekend getaways can claim that they cost nothing? Wild camping can. If you opt to pitch your tent in a campground you will have to pay to rent the lot, but this is normally very cheap. We’re talking cheaper than a run down motel and you’ll have access to bathrooms, showers and pottable water. However, you’ll likely also have a lot of campground neighbors. 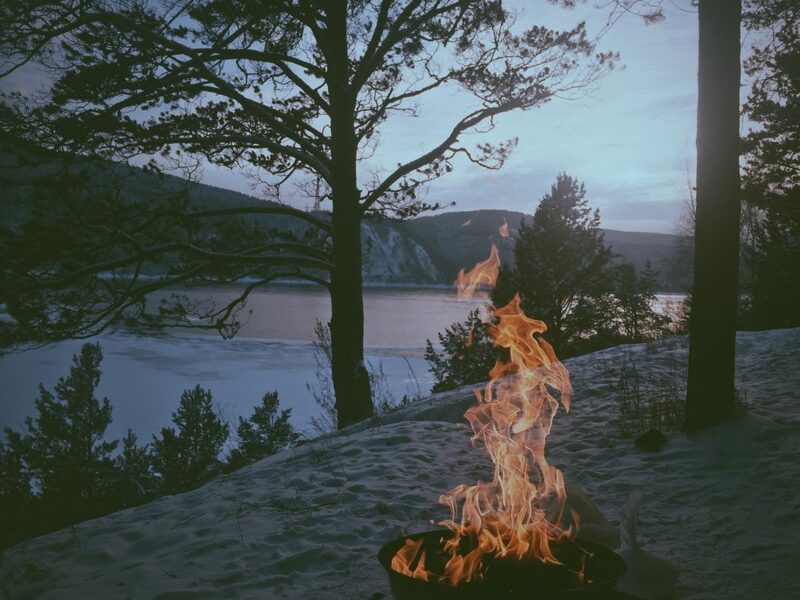 If you embrace your true woodsman, or woodswoman you’re guranteed a free, secluded spot and the only neighbors you’ll have are the wildlife around you. We promise, they’re good neighbors though. You’ll be giving up that shower and toilet, but hey, the shower was probably going to be cold anyhow. 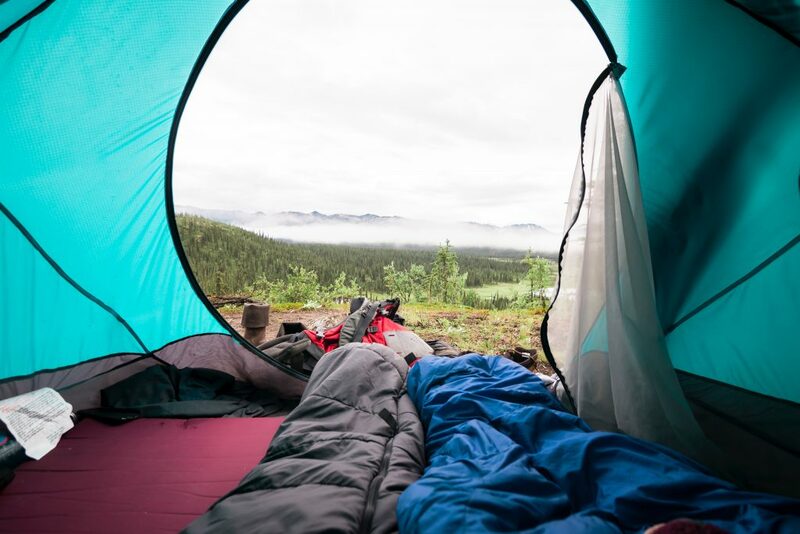 These are just some of the awesome perks of wild camping. This pastime has many more ways it can benefit you, we just can’t cover them all without writing a book. The best way for you to learn how it can make you happier and healthier is to get out there and try it. We’re confident that you’ll have a good time. Just remember to pack what you need and double check that you have the basics. Realizing you forgot to bring toilet paper can be a good way to ruin your escape from the day to day hustle and bustle of life. 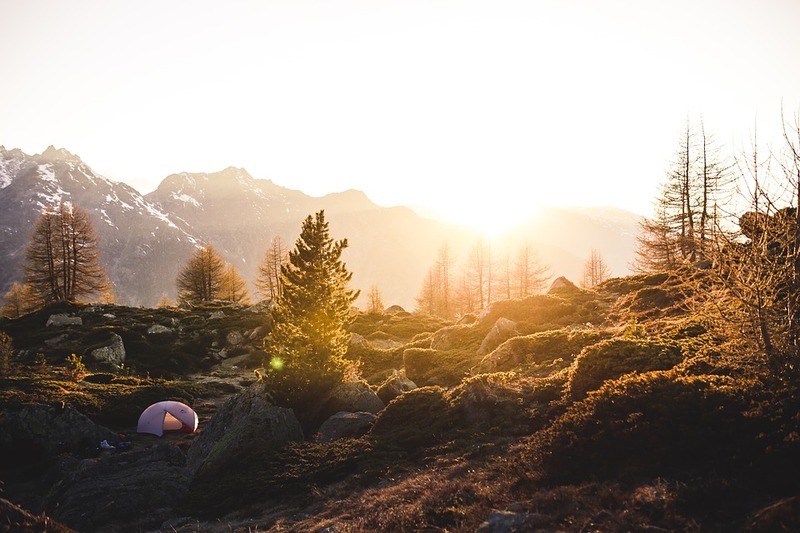 Why not capitalise on the benefits of wild camping by browsing our article on wild camping equipment here.